Whether you are advertising an event, a sale or your business, our high quality posters are a great way to get the word out. Dazzling full color printing on 80 lb and 100 lb cover weight stock and sizes up to 13" x 19" are available. Low minimum order quantities are no problem. Need help with a design? Let our professional design department help you achieve the perfect design. Need a poster size larger than 12" x 18"? Our large format printer can print up to 5 ft. wide and over 12 ft. in length. Stock options include gloss, satin and matter 8 mil poster stocks and special latex coated water resistant paper. 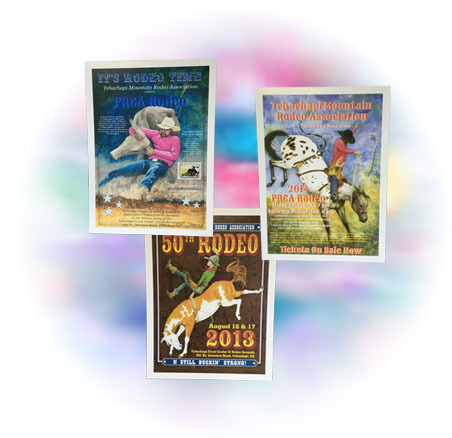 Poster prints can be mounted to a variety of substrates such as foam board. We also offer wide format laminating services to protect your posters from sun fading, scuffs and scratches. Fine art canvas material prints are also available. This is a premium canvas material gessoed on the print side and left natural on the reverse side. Our wide format machine prints in 8 colors at 1440 DPI, this allows us to provide an excellent print quality and color gamut. Let our high quality posters and prints show your artwork with distinction.